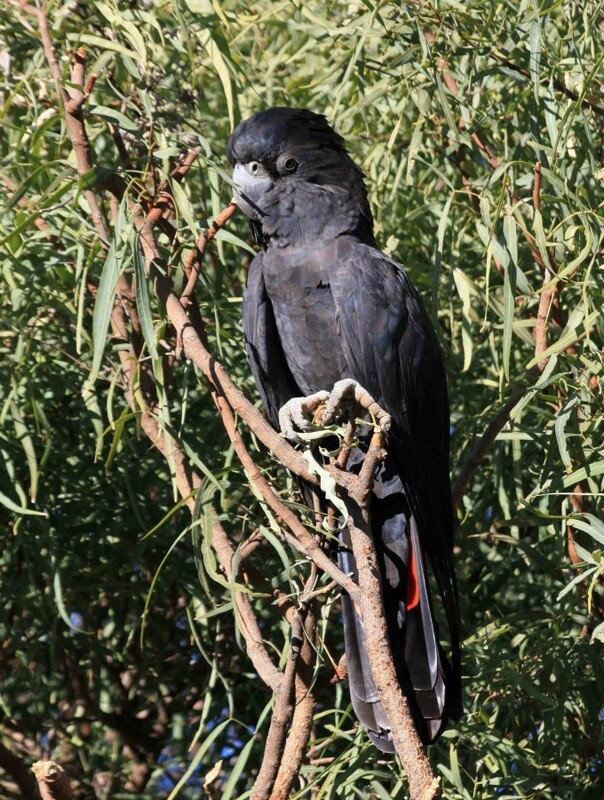 Sitting up high today, this cheeky black cockatoo just could not get enough attention. Partially hiding his beak and playing with a small leaf in the tree above, this bird was making the most of it. The thing I like most about these birds is their coat, which reflects a blue tint from the black feathers. We can also see here the large claws beneath the bird used to grip the hardwood trees in the area, they are very tough. Eventually, a small child started climbing the tree to try to pat him, at which point he decided to move on. These birds have quite a bit of intelligence behind them; and as a result, they have a lot of personality.